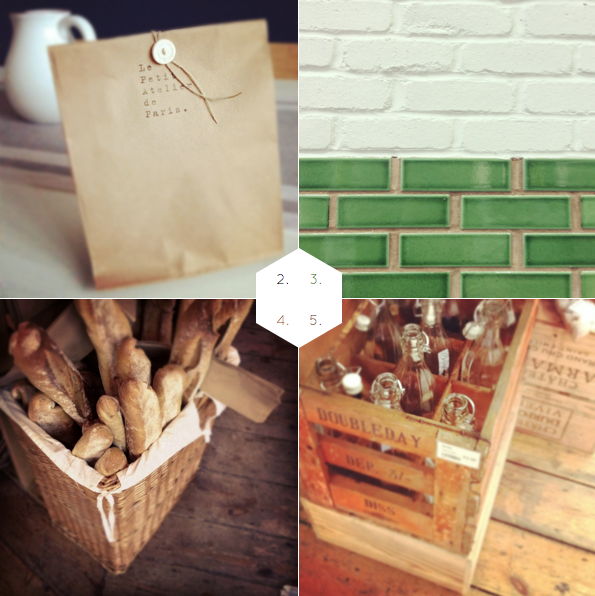 Whether your enjoying the height of summer or willing spring to arrive during the grey days of winter (yes, London, I'm looking at you right now) these three ideas are perfect for creating an energising and bright kitchen space. 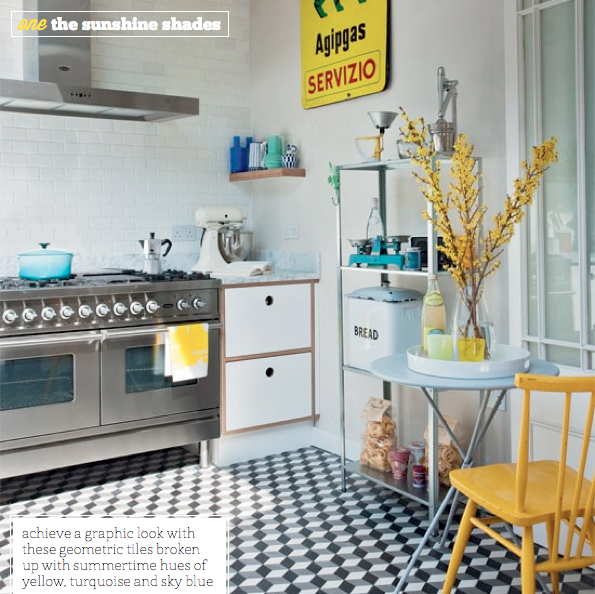 First up we see how 'The Sunshine Shades' of turquoise and yellow hues soften the darker geometric tiles that grace the floor, which in turn lifts the colour scheme. You will notice how the accent colours draw the eye upwards from the chair, to the counter and up to the shelves in the corner of the room; this helps to create visual space in the scheme. 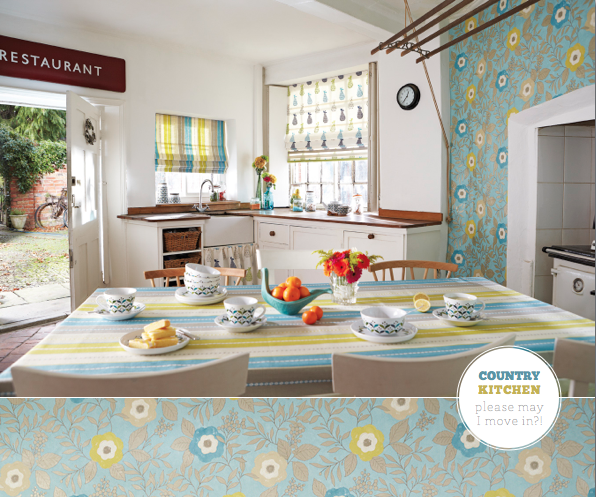 The second kitchen shows how to make a statement using colour and furniture. Often we might think to add colour through accessories but here these are kept minimalist with clean white finishes that offset the bold turquoise hue of the dresser - a striking and effortless look. 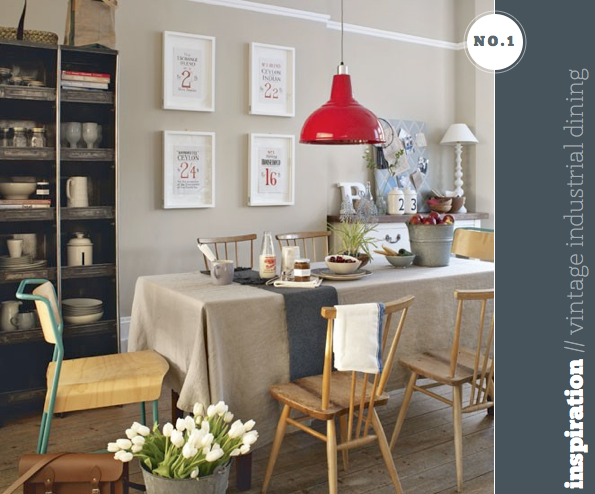 The final look, 'Industrial Red Hues', is perfect for a warehouse or small city kitchen that has been kept white and pared back to increase the feeling of space but needs warming up. 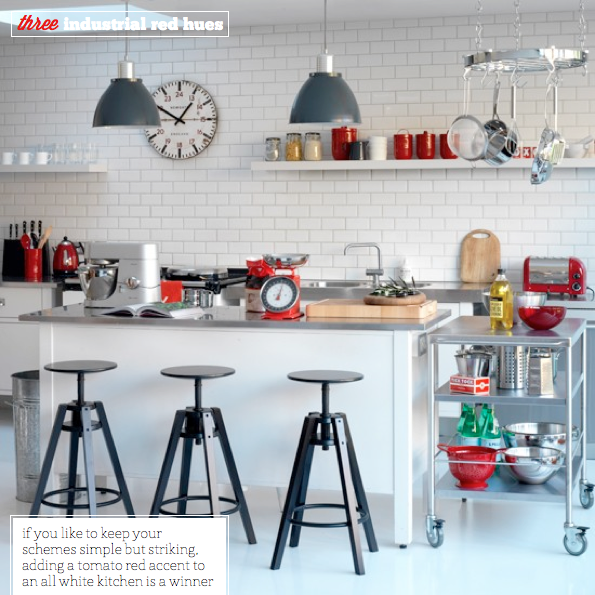 Careful use of tomato red accent hues will break up the crisp palette, preventing the scheme from feeling too clinical. 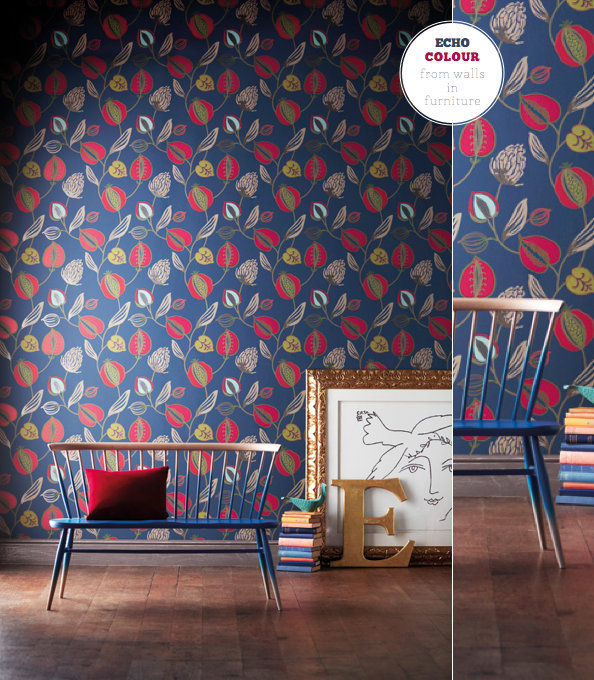 My vote goes for look two, but which would you choose? 1. 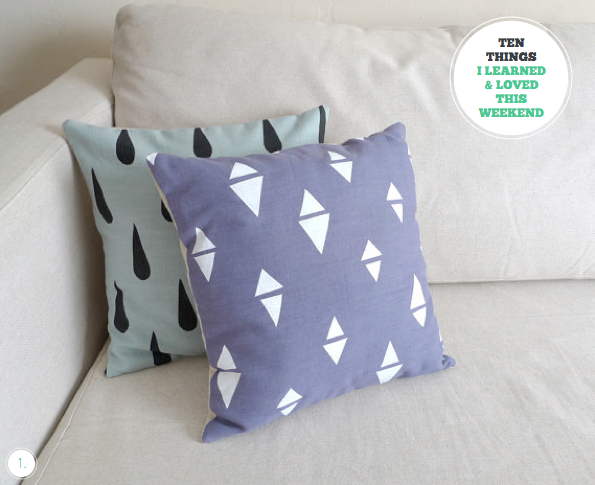 Erin Dollar makes cushion covers in pretty hues and patterns. 2. Le Petit Atelier de Paris have simple yet beautiful packaging (more on my recent trip, soon!). 3. Loved the white and green combination of these subway tiles. 4. The smell of fresh bread at the grocery store made me miss the boulangeries of Paris. 5. This box of glass bottles were for helping yourself to homemade wine in the grocery store - how fun! 6. 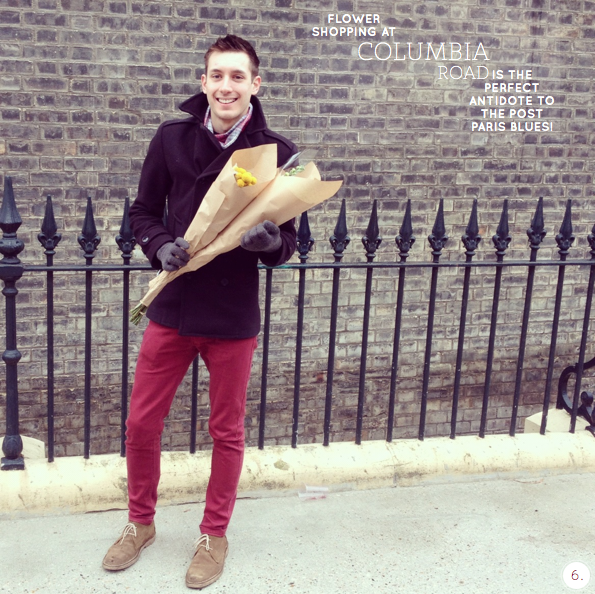 Picking up fresh blooms at Columbia Road Flower Market is the perfect antidote to the Post Paris blues! 7. How beautiful is this wedding box set? 8. 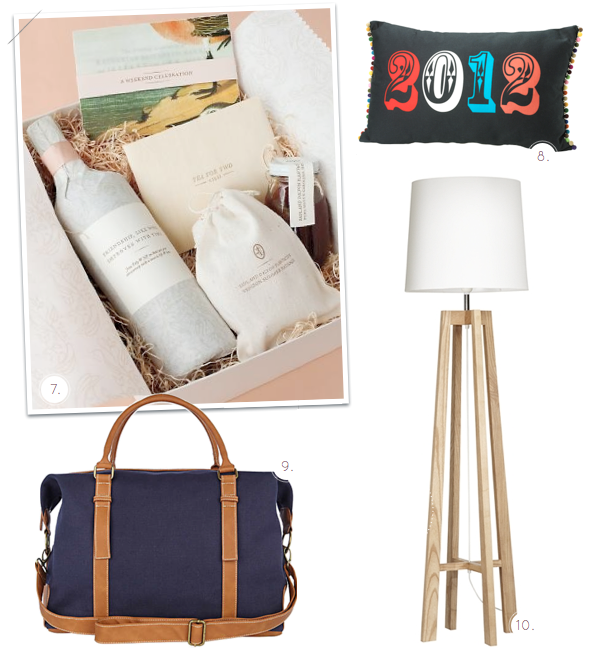 Are you looking for the perfect nod to the year ahead? This colourful cushion by Michelle Mason could be perfect - I love the pom poms, type and bright colours. 9. This bag only deepened my love for navy and tan combinations! 10. The striking yet simple design of this floor lamp caught my eye. Well, folks, I'm signing off for the week because I'm lucky enough to be in Paris for a few days of French Fun! Just days before I left, two new prints I had ordered from Eye Poetry arrived ready to be framed and hung in my bedroom. 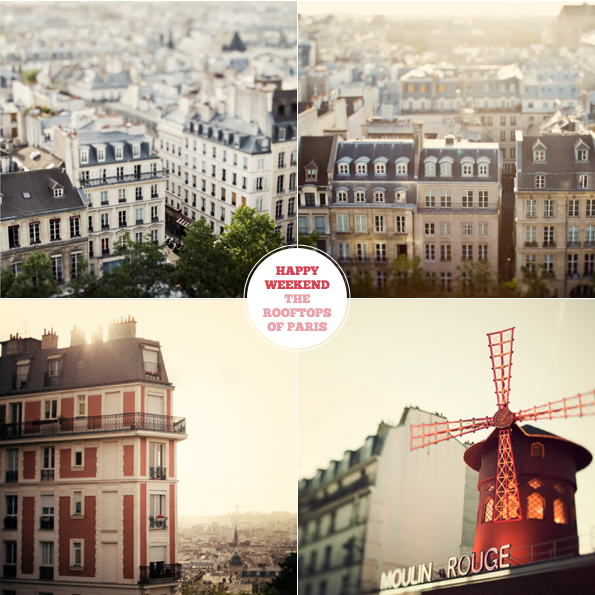 I ordered the top two rooftop images you can see in the four shown above and plan on hanging them side by side on one of the bedroom walls. Why did I choose them? I felt instantly inspired and charmed by their 'toy town' look (love tilt shift!) and what better than to wake and see beautiful Parisian architecture each morning? Can't wait to come back and share my Parisian adventures with you all. Have a lovely weekend! 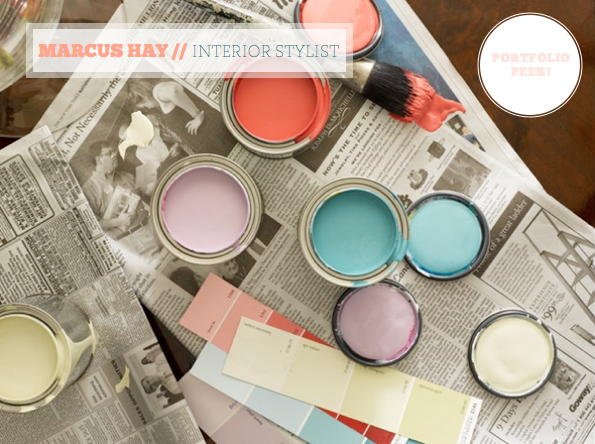 Let's ease ourselves into the weekend with an inspiring peek inside the portfolio of Stylist, Marcus Hay. Born in Germany and raised in Australia, Hay has had over 16 years experience of styling for advertising, lifestyle and marketing/branding projects. Although now working out of Manhattan, Marcus originally found his love for creativity when hanging out on set with his Photographer father, John Hay. 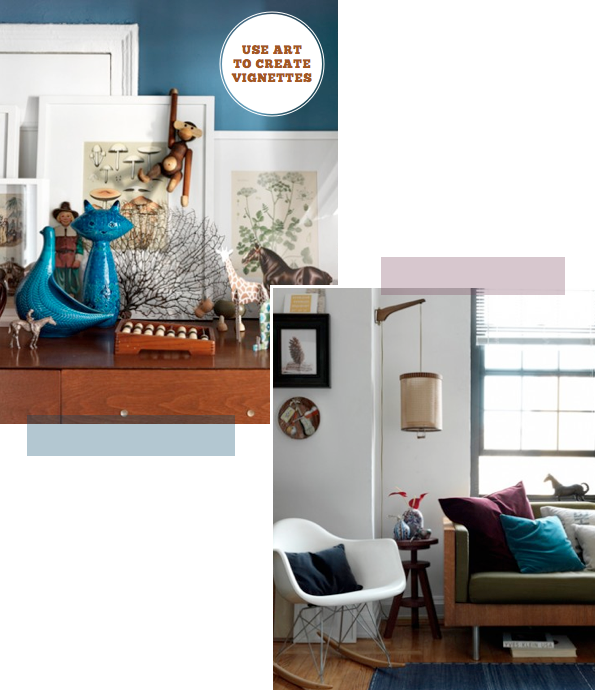 Meanwhile his mum, Janet, helped him discover a love for paint and fabric swatches, from which he would help visual merchandise his parent's decorating stores. He moved to NYC in 2005 to join Real Simple as Style Director and now works for a range of clients across America, the UK, Europe and Australia. Phew! Pretty impressive, right? You can tell Marcus has been using colour since a young age because he works hues into his work with seemingly effortless simplicity - teals, aquamarines, golden yellow, coral; you name it, Marcus can work it! 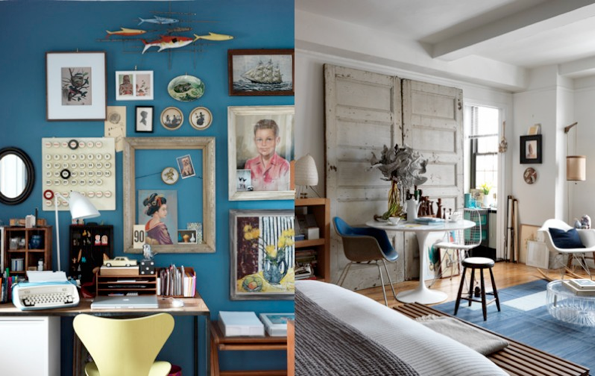 What's inspiring you about his portfolio and home (the later half of the post shows snapshots from his apartment, which recently appeared in Elle Decoration UK)? 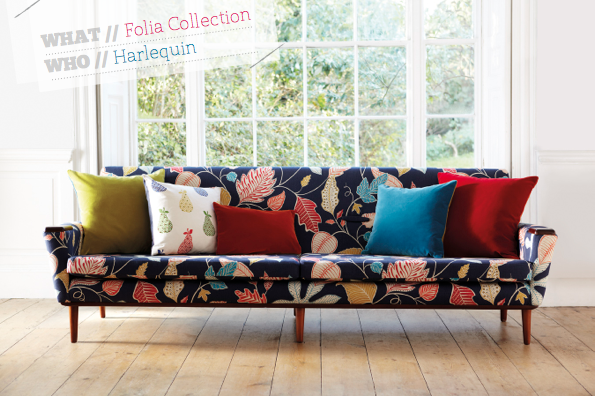 I think it was the juxtaposition of naivety and sophistication that first caught my eye about the new Folia collection from Harlequin. 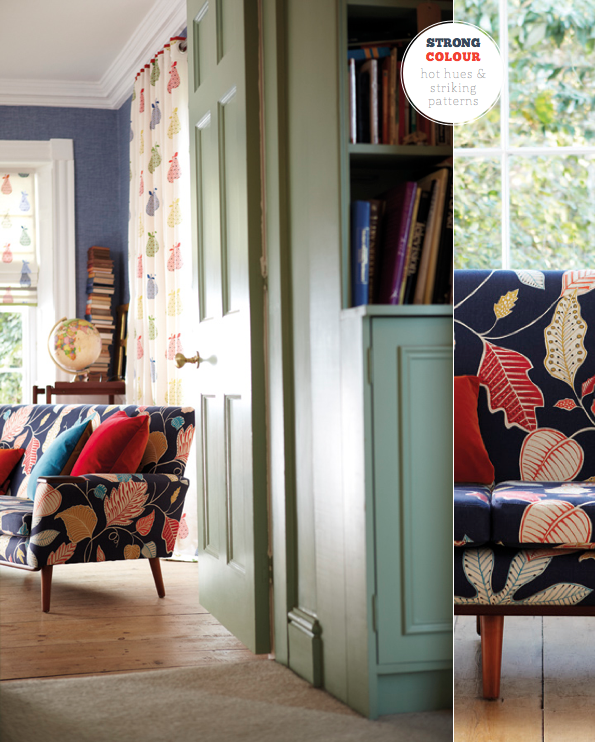 Inspired by the distinctive style of 20th Century Scandinavian textiles, the collection marries the clarity of design from the era with a series of bright, bold and all round delicious colours. 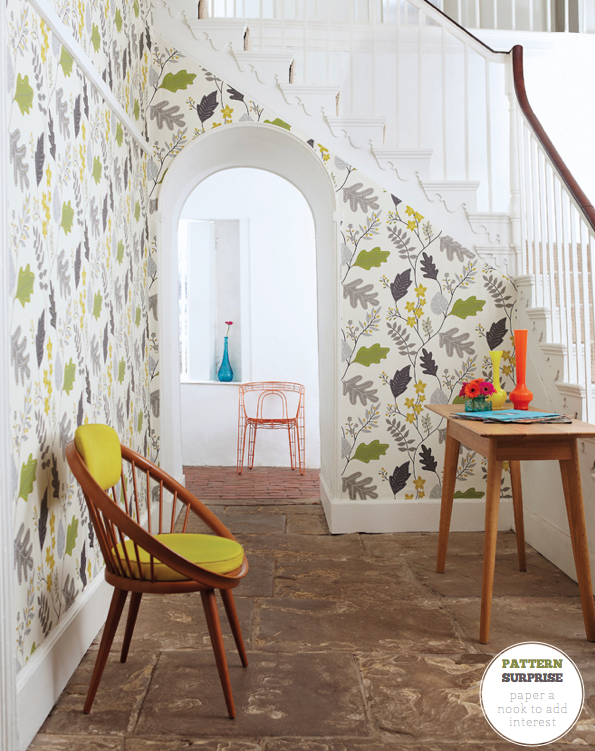 Dominated by botanical motifs, Folia is the perfect collection from which to create a new look for spring; I love that on close inspection one can see plums, figs, pears and olives amongst the meandering leaf trails. 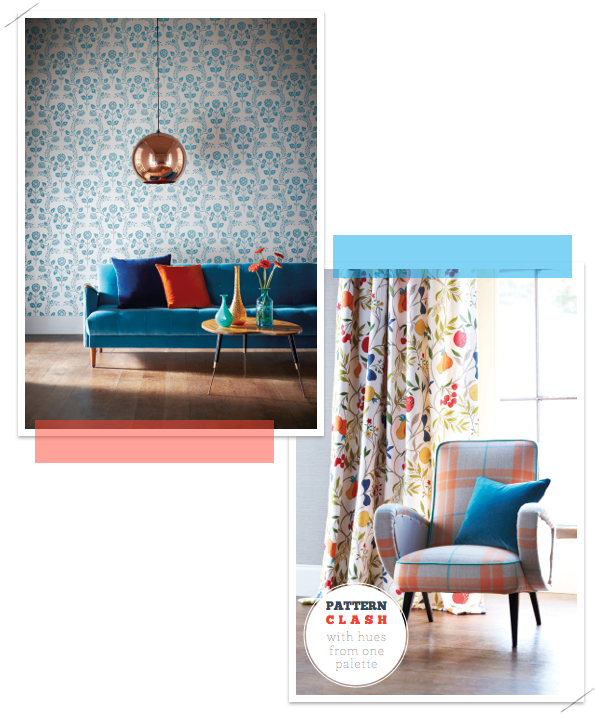 Plus, the diverse colour palette used (including midnight, ink and cerulean blue and forest, olive sap and apple, amongst many others) make the wallpapers and fabrics ideal for using in existing schemes. 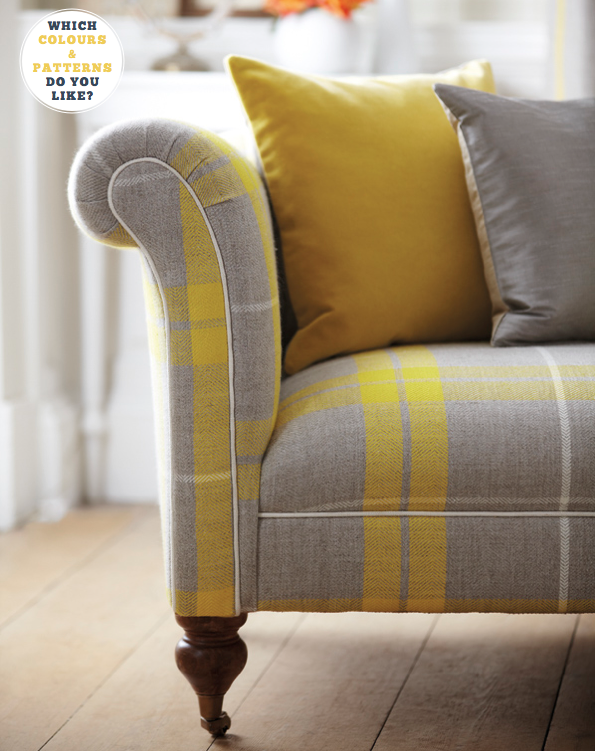 My personal favourite from the new collection is the Flavia fabric (used to upholder the sofa in the first image) but the yellow and grey Akin fabric (last image) also has a classic, timeless feel to it that I like. 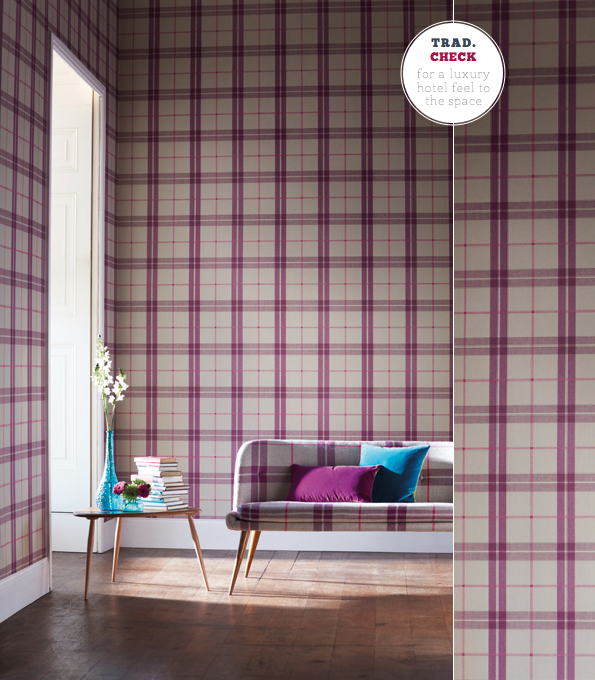 What's standing out to you from the new Harlequin range? 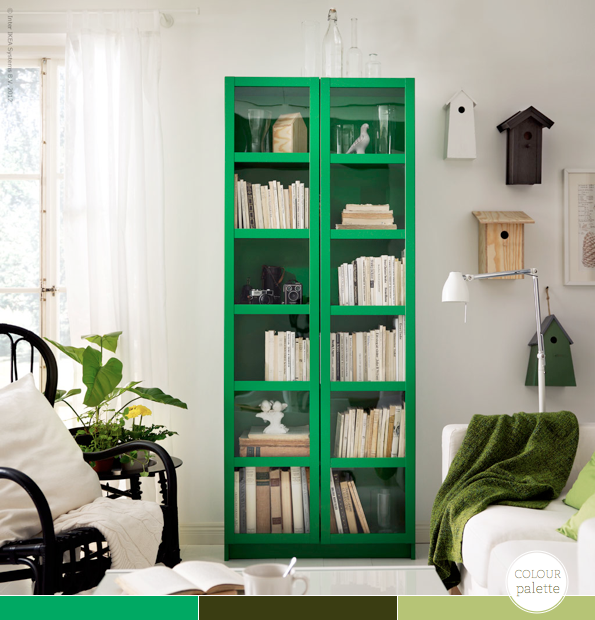 Take Your Pick: Yellow or Green Bookcase? Hurrah! We've reached the middle of the week so a customary Happy Hump Day, folks! 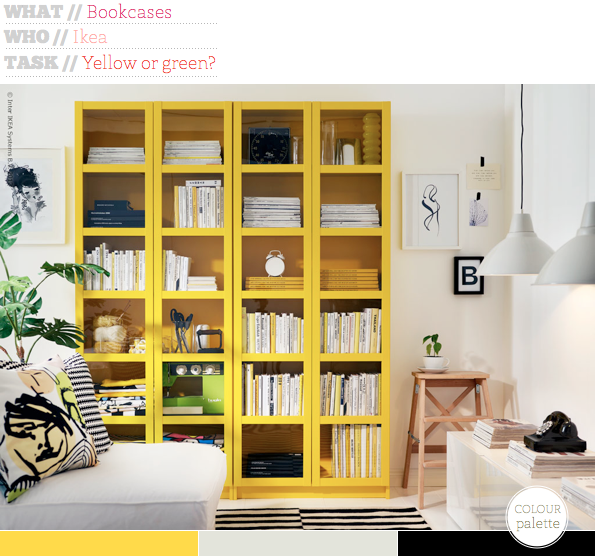 I stumbled upon these two bookcases from IKEA and knew in an instant that I liked them both. 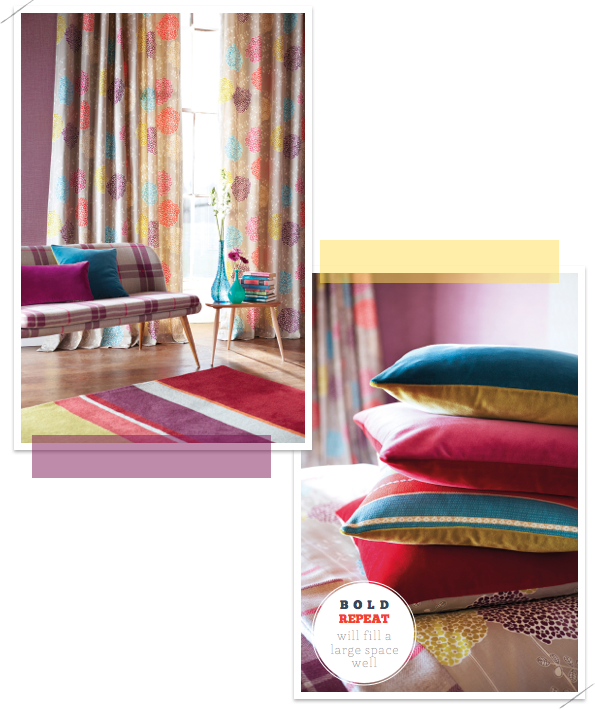 Clean, sleek and modern in their design and colourful in their execution they felt perfect for a Bright.Bazaar home. The only problem? Deciding which one I like better. The yellow finish provides an uplifting, vibrant and bold statement to the space, plus it pairs effortlessly with the black and white colour scheme. 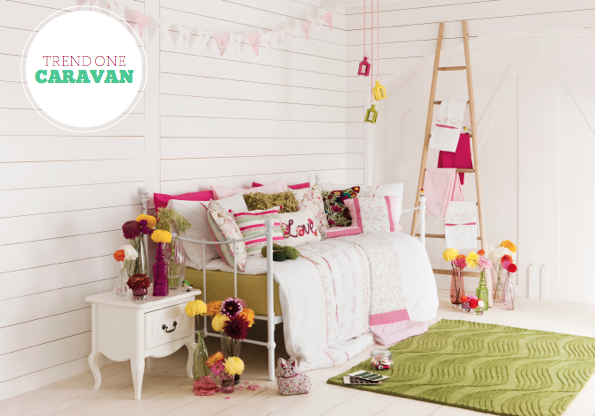 Whereas the green provides a more serene feeling, blending well space around it. I think I'm verging on preferring how the yellow option looks; it just feels a little more playful and graphic, but which would you pick? Many of my overseas friends speak of how charming travelling on 'The Tube' in London is (commuting on it with the mice isn't quite so charming, but let's gloss of that!) 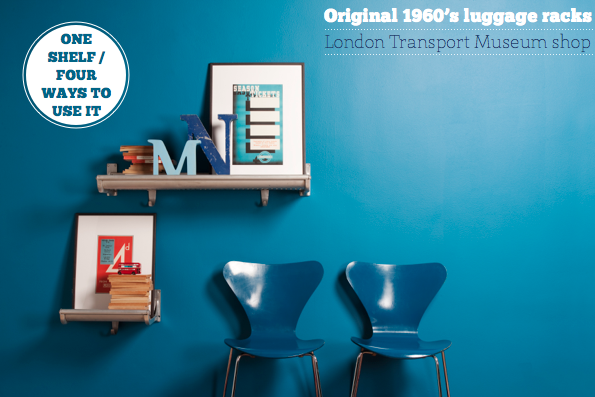 so I think they are going to love these luggage racks that go on sale from February at the London Transport Museum. The original 1960's luggage racks are from Metropolitan Line trains (the purple line) which have now been decommissioned to make way for new trains. So, this is the perfect opportunity to own a piece of original London history instead of those terrible tee-shirts sold in stalls all the way down Oxford St. (Know the ones? Yeah, kinda bad, huh?!) 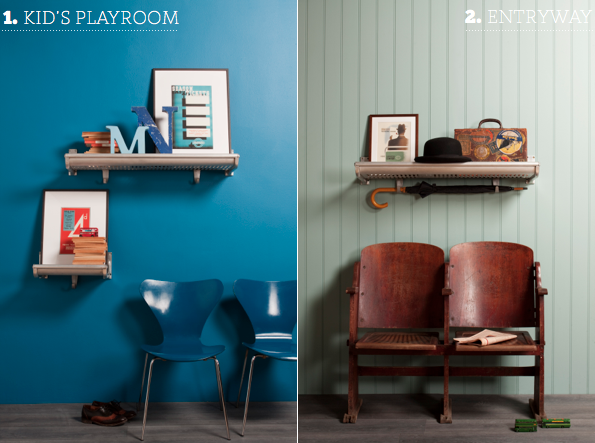 The racks have been cleaned and adapted for use around the home, shown here in four of my favourite ways. It's fun to think that these racks have been carrying briefcases, shopping bags, suitcases, coats and who knows what else for almost 50 years! 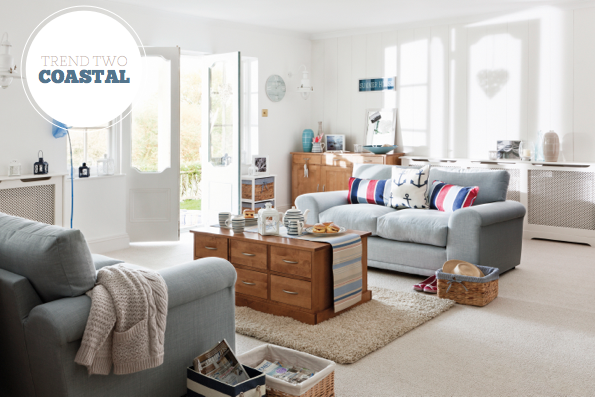 Perhaps it's time they helped add some London style to your home? 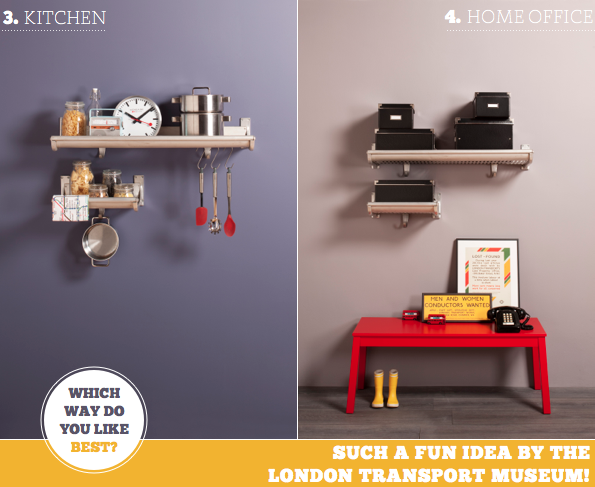 Which way would you use the luggage racks? 1. This striking cluster of pendant shades and exposed bulbs in a central London bar. 2. Marking recipes I'd like to try in my new cookbook by Tana Ramsey on Saturday morning. 3. Seeing the exposed bulbs inspired me to find ones for the flat; I loved this table lamp. 4. I like the colours and patterns on these quirky and fun 'biscuit' pillows. 5. Framed my new print from Evermade UK. 6. Headed out for a walk on Saturday afternoon in my favourite blue and white stripes! 8. Would love to own this beat pendant shade by Tom Dixon one day. 9. 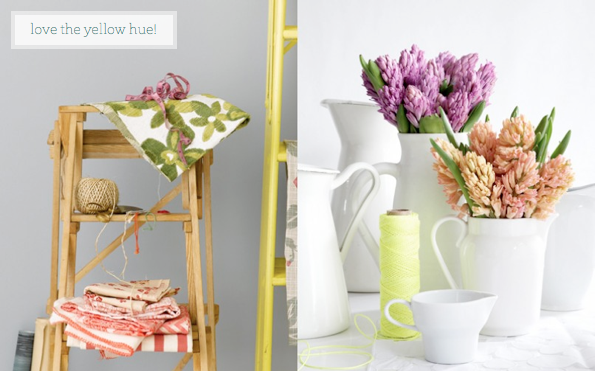 Love these iron and twine nesting baskets. 10. This parcel label-shaped card with Manhattan's neighbourhoods marked on it is rather fun! Might make this DIY surprise lantern for a wedding this summer. Dreaming of travelling to the Dodogne, France. DIY gilded Thank You cards. Mr. Bazaar helped spread his colour loving nature all the way to Chicago! Useful painting guides: one and two. 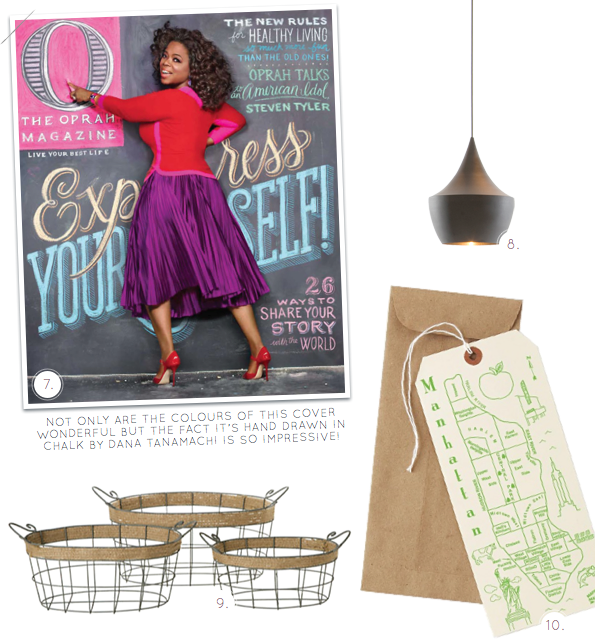 Designwali shared photographs of the bowl she won on Bright.Bazaar. Now this is what I call winter! A very sweet nautical themed engagement shoot. 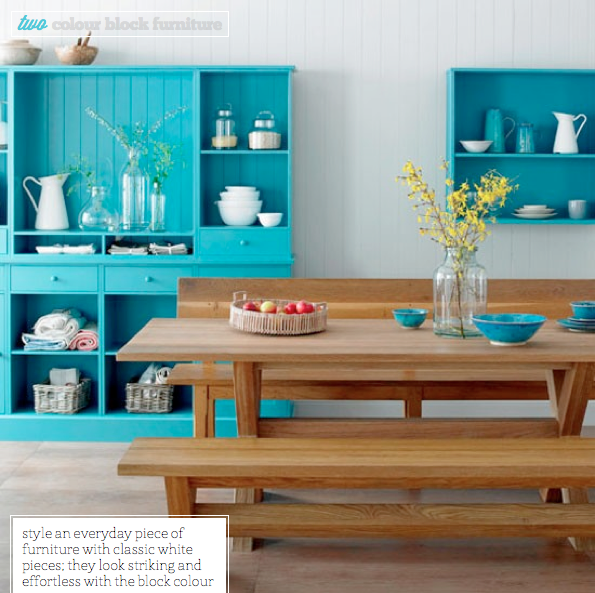 Cool blue hues in dining rooms. 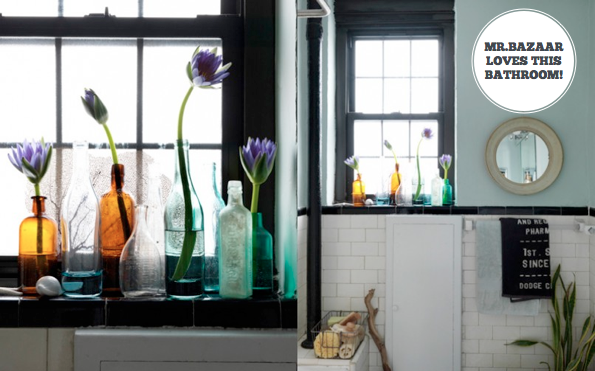 How to make a pendant light with a vintage glass funnel. A local Parisian flower market. 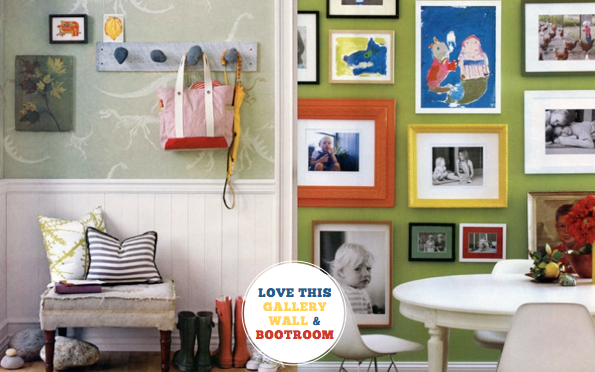 How super fun is this San Francisco themed birthday party? 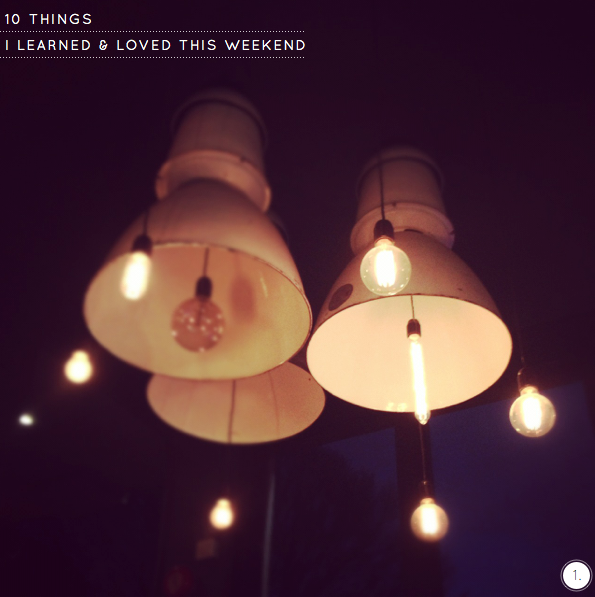 A beautiful sunrise across London, colourful stripy and spotty tableware, stylish packaging and plenty more in last weekend's 10 Things I Learned & Loved. 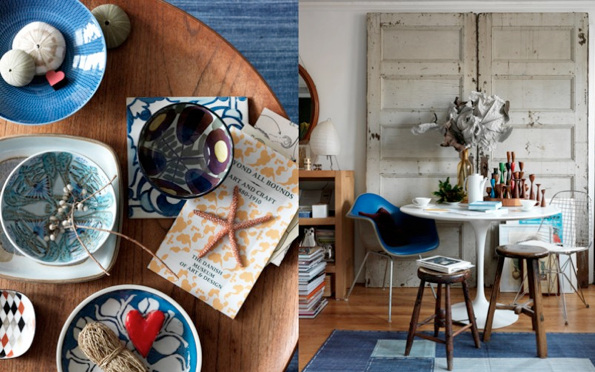 A little winter respite in the form of Real Living's Feburary issue packed full of summertime and nautical inspirations. 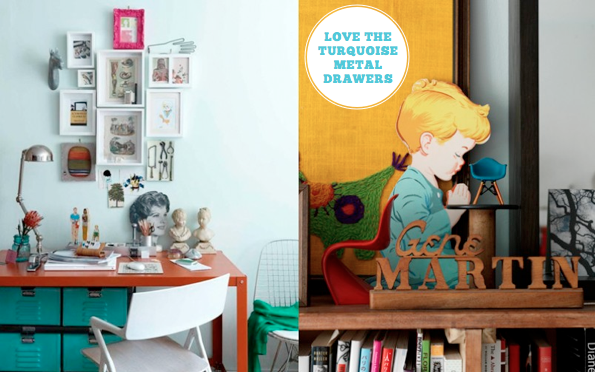 Inspiration for three different home office spaces. 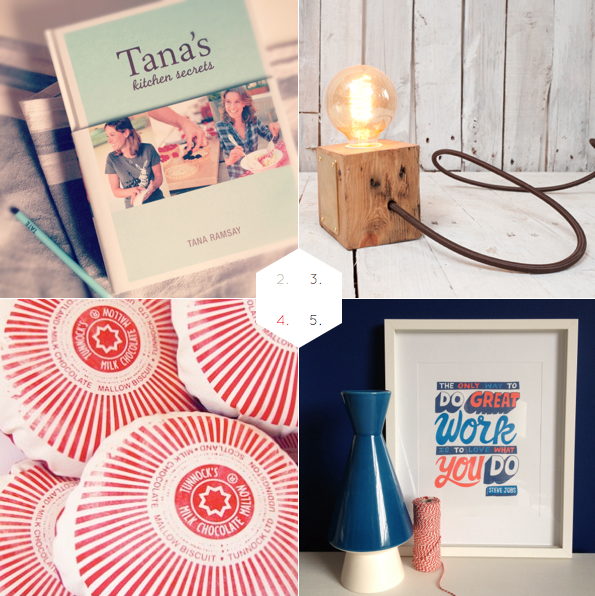 Three of my inspirations this week included a vintage-industrial dining space, a patterned entryway and a colourful pantry. Well, what a week this has been! It started with an generous invite from Modenus to join Blog Tour 2012 in New York City in March. I'm so excited to be joining some lovely and very talented bloggers in one of my favourite cities in the world. Of course, Mr. Bazaar will be on the lookout for colourful designs during the trip, so expect pins, Instagram snaps, tweets and more of everything that inspires me during the trip. In the meantime, and with the cold temperatures here in London, I'm still dreaming of open fires and crackling logs. 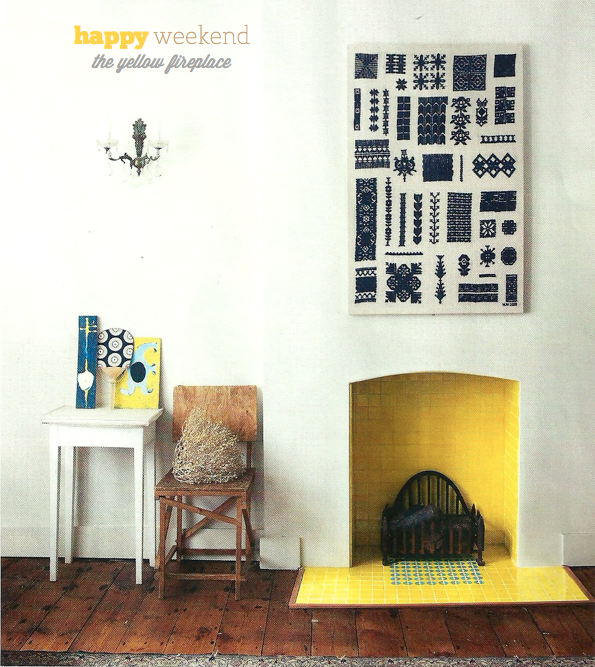 I came across this delightful fireplace with divine yellow ceramic tiles by Lubna Chowdhary and it instantly brought a smile to my face. 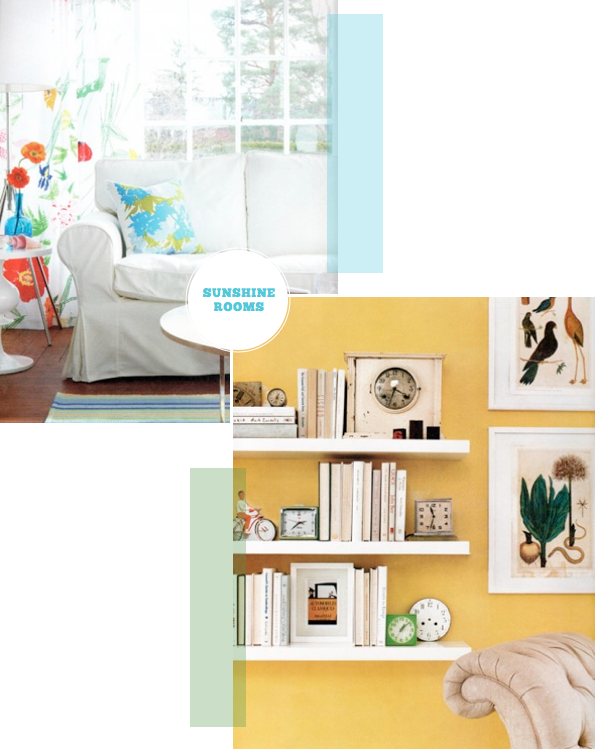 I think it would be perfect as in the summer as it would in winter because the yellow hue makes a fantastic statement in the room. What are your weekend plans, folks? 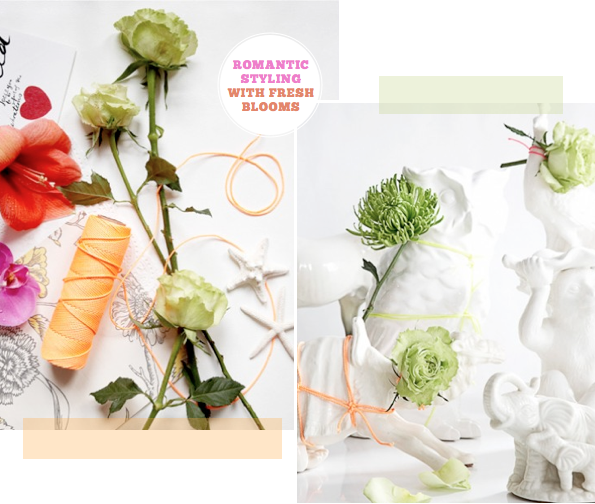 It wasn't until I finished laying out this post and came to start writing that I realised how all three inspirations centred around getting organised. Perhaps it's something to do with the New Year? Or, more likely, it's a reflection of my OCD approach to organisation! 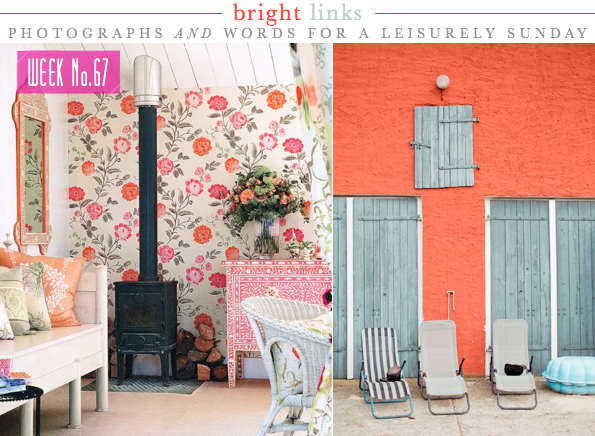 Either way, these three spaces have me super inspired as I head into the weekend. 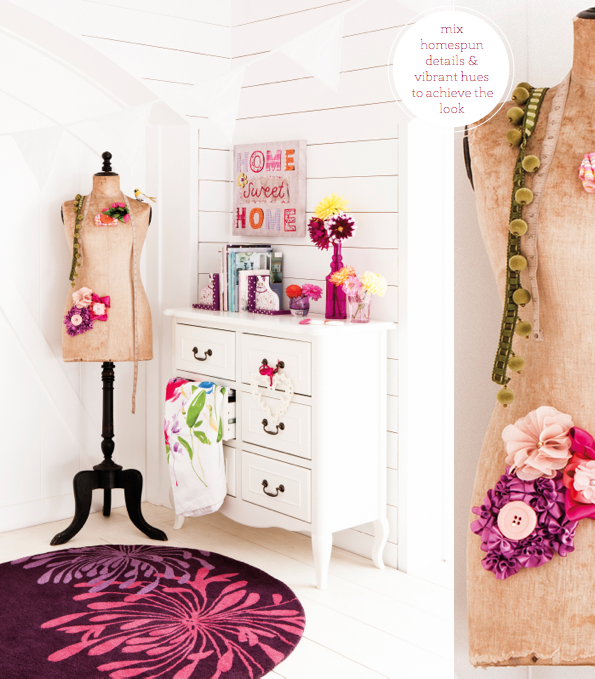 The first is an excellent example of how to delicately add colour, even when using bright hues. The Tiffany blue school chair breaks the neutral linens that adorn the table, whilst the tomato red pendant draws the eye down to the table creating intimacy in the space. As for the industrial storage unit, well, you wouldn't have to ask me twice to snap that up! I dream of having a home big enough to take an entryway the size of the one shown above. 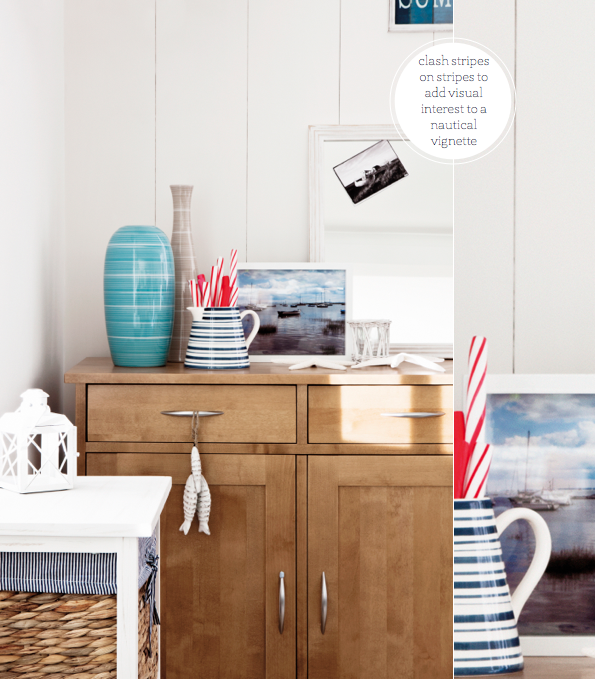 The patterned paper adds interest to the all-white space and the baskets hide clutter - just what my (much smaller!) 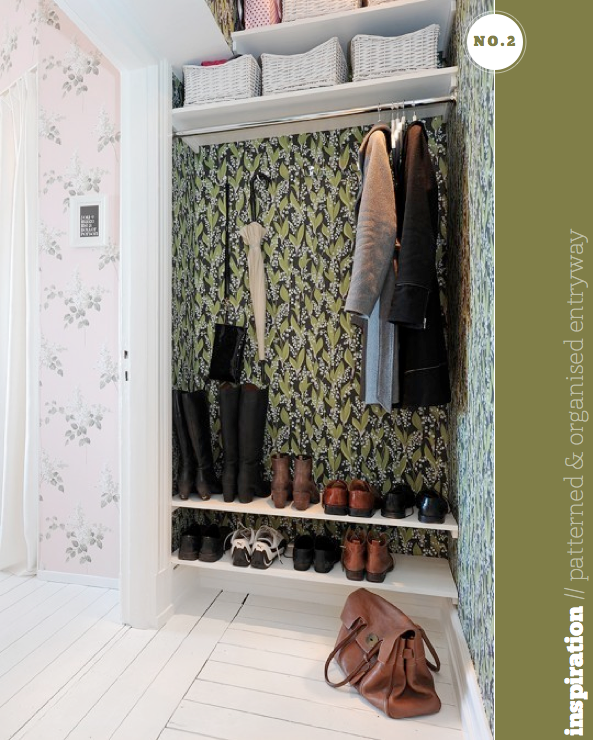 entryway needs. 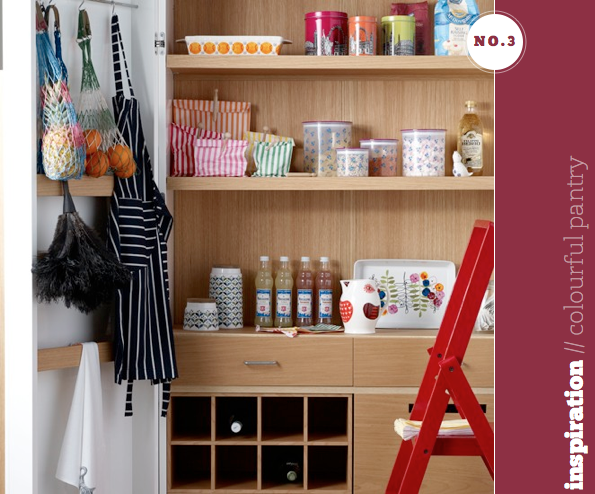 Finally, I just had to include this colourful pantry; the perfectly lined up bottles, jars and bags really made me smile. Which space do you like best, friends? On a chilly day last autumn I headed to Sainsbury's press preview of their spring/summer collection for 2012, where the brand had styled room sets with each of their forecasted trends for the forthcoming 2012 season. 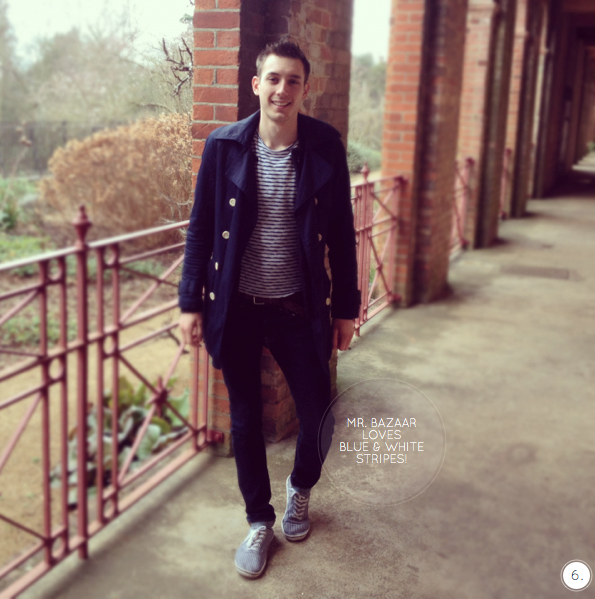 Whilst I was there I shared I spoke with some folks from Sainsbury's, sharing my thoughts on their proposition in the marketplace and revealed my top product pick - so expect Mr. Bazaar to pop up once or twice in the film above! I was pleasantly surprised by what I saw and have decided to share the two trends, Caravan and Coastal, which spoke most strongly to me. 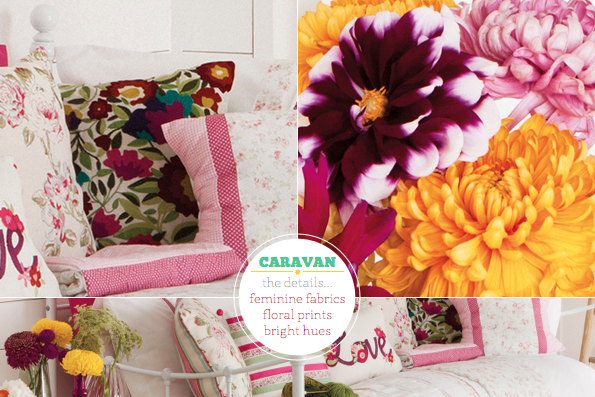 Caravan has a colourful and bohemian feel to it thanks to the mix of pattern, texture and folk inspired detailing. 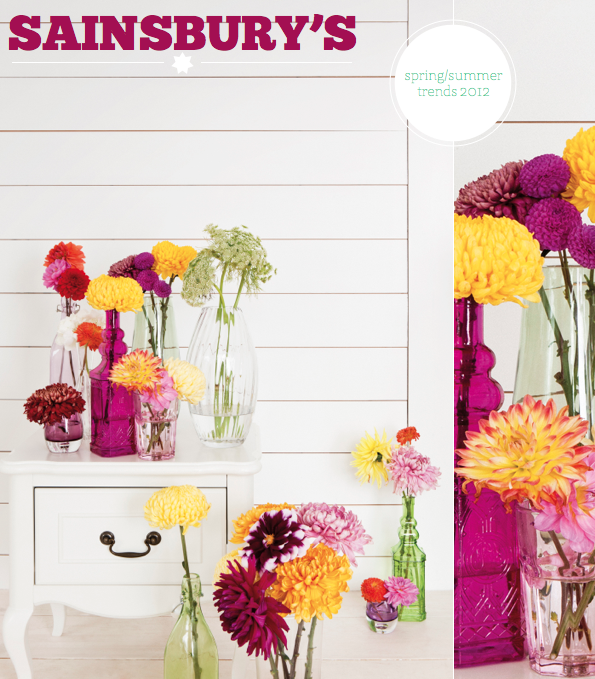 The eclectic colour palette details a range of bright hues that break up the floral prints and delicate glassware. Now, although the second theme, Coastal, isn't an original trend for the s/s season and is often done so very badly, I think this take on it has been done rather well. 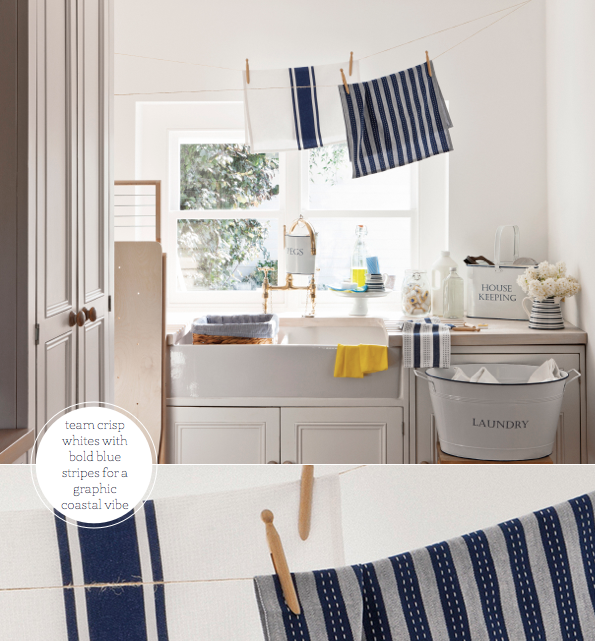 It captured my imagination for seaside escapes, light and airy spaces and addiction to all things Nautical - not to mention my love for navy blue! Standout product for me? 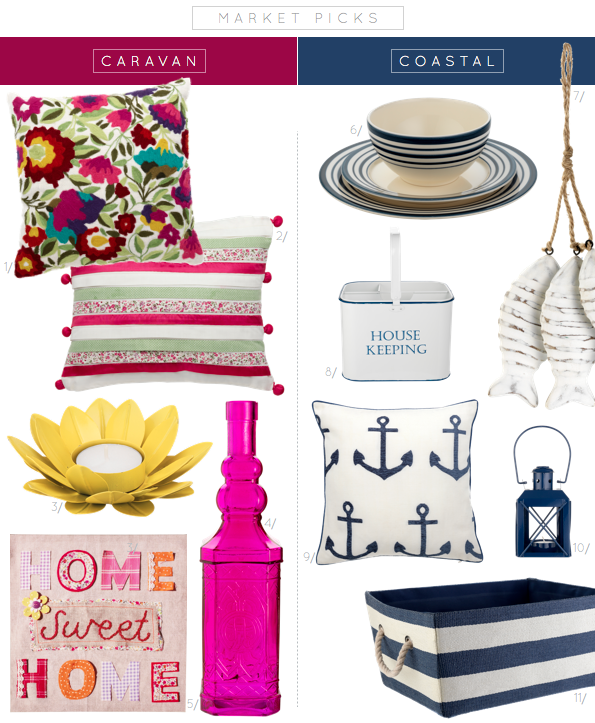 It has to be the anchor cushion - a steal at under £10. 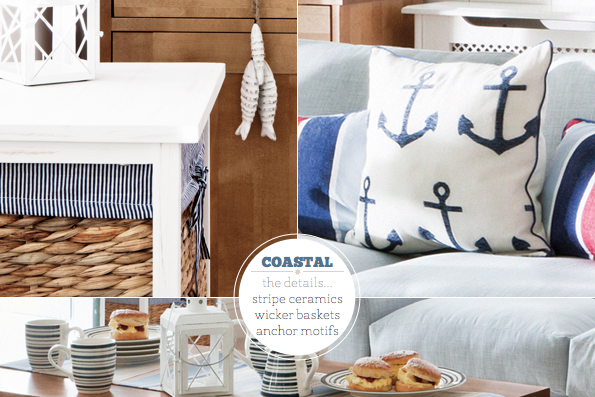 After all, there's nothing like popping out for milk only to return with milk and an anchor cushion, right?! Which trend is for you? What's catching your eye?